Five Star Furnishing Care was established in 2001 and is based in Luton, Bedfordshire. The company offers a range of mainly B2C flooring, upholstery and associated cleaning services across Bedfordshire and Hertfordshire. Owners Dean and Marie Haywood have been working with Ash Taylor since early 2017, primarily as members of one of his mastermind groups. How was the business performing before joining forces with Ash? Cash flow was the company’s major issue. ‘We’re lucky that customers pay us on the day we deliver the service, but that often meant waiting several weeks between booking the job and completing it,’ said Marie. Was this the biggest challenge? ‘Definitely — it’s not absolutely perfect now, but it’s far, far better and this has allowed us to move the business forward in other ways,’ said Dean. ‘A better cash flow allows us to pay for leaflet distribution or other marketing activities which we’d not been able to do. ‘At our very first meeting, Ash suggested we start taking a small deposit at the time of booking — something unheard of in our industry! 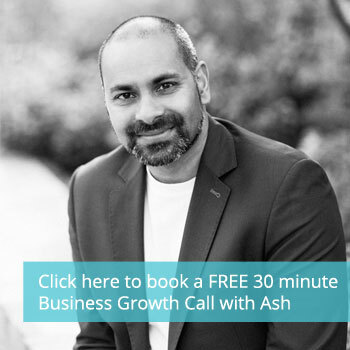 Ash has helped Dean and Marie move their business to the next level in other significant ways as well. They had been poorly advised in the past to stay below the VAT threshold to avoid paying higher sums to debtors. ‘We’d been following that advice, but Ash helped us change our thinking on that,’ said Dean. The company now has net annual sales of more than £100,000 and has taken on two members of staff — one is a cleaning technician, the second is office-based and helps with sales, marketing and admin. ‘This has allowed us to take much more time out from day-to-day operations and given us space to work on the business rather than just in it,’ said Marie. ‘We’re also able to get away to our home-from-home in the sun more often — everything always seems rosier in the sunshine! ‘We’d visited a small town in Spain a few times and discovered that we could rent somewhere there for less than £400 a month. This means we now have a bolt hole — we don’t need to be sat at our desks all the time to do our marketing or even run our business. Marie added: ‘We have been running our business since 2001 and didn’t want to wait till retirement to enjoy our time. Working together and being married can be hard sometimes but being able to recharge the batteries little and often is a good thing. What’s it like being a mastermind member? ‘All the different points of view really do make a huge difference,’ said Marie. ‘The other members don’t need to know everything about your business at the start — the understanding comes as the group grows together. ‘What’s more important is the mix of perspectives. Other business owners will ask you questions you’d never thought of, or answer them in ways that get you thinking differently. You may not always get complete solutions, but you’ll always go away with food for thought. What are Ash’s strongest qualities as a coach? ‘Ash always keeps questioning you and getting you to ask yourself the difficult ones,’ said Dean. ‘He’s committed to giving maximum value at every meeting, and he’ll also go out of his way to introduce you to other professionals who can help you move your business forward.